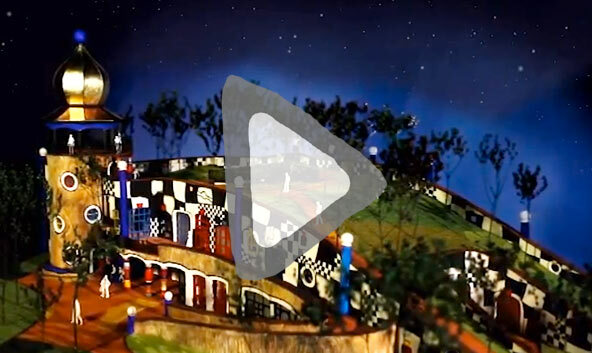 The wonderful ‘Hundertwasser HQ’ – home to all things Hundertwasser in Whangarei – has moved, & reopened today! Prime Minister John Key performs the formal sod turning of Te Kakano – the precursor trial building to Whangarei’s Hundertwasser Art Centre. Prosper Northland has welcomed today’s announcement of a $4 million contribution by Central Government to the Hundertwasser Art Centre (HAC) project in Whangarei. In their January funding round Pub Charity Limited has granted $50,000 towards the first stage of the Hundertwasser project. This is a welcome boost to efforts to get this first structure underway, and comes on top of a generous $100,000 donation from the Tiger Trust. WRMK Senior Lawyer Rosie Allen believes in the Hundertwasser Art Centre project so much that she is making a multi-year commitment to the project.